3、the construction should be regularly observed and recorded, pile wall displacement, precipitation and other issues. 5、sheet piling purlin support through the use of long H-channel and use the cross as an internal support pipe 300 and H-type channel walings welding firm. 6、to be confirmed walings solid support before proceeding with excavation, until the bottom of the excavation design. 7、after confirming Foundation sheet piling retaining high stability of artificial excavation pit bottom flat. 8、after the completion of excavation material is generally not recommended to put more than meet the above weight above it. 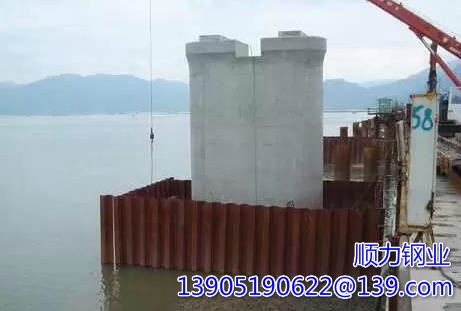 9、do not choose fracture deformation, twisted sheet piling as support material. Technological innovation is the power of genes along the rapid development of China's first cold-formed sheet piling patent was born in Hue force along the force to build R & D team to lead the development direction of the global sheet piling, it won more than 20 national invention patents, utility models patent.